One poet is using metaphor to inspire reflection and action. For many people, climate change can feel distant and abstract. San Diego poet Scott T. Starbuck hopes his poems can help change that. 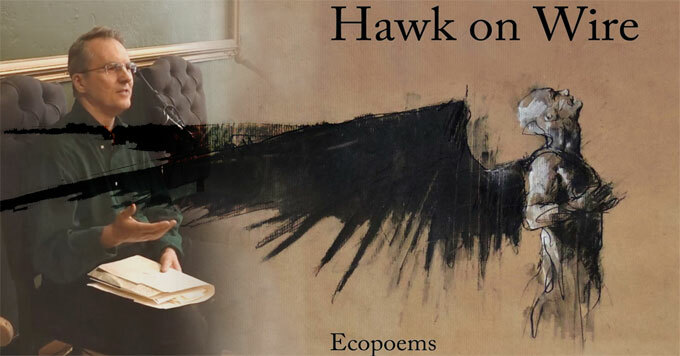 In his new book, Hawk on Wire, several poems portray a world transformed by global warming, while others capture glimpses of nature that Starbuck hopes everyone can relate to and appreciate. Starbuck wants his readers to slow down, observe nature, and reflect on it. This, he believes, will inspire them to take action. Image graphic: Created by David McCarthy (Hawk on Wire book cover and promo video screen capture).